For a complete list of members, see Malaysian State Assembly Representatives (2013-) § Sarawak. The first legislative assembly in Sarawak was formed during the rule of the White Rajahs. The General Council (Majlis Umum) of the Kingdom of Sarawak was convened on 8 September 1867 by Charles Brooke, the Rajah Muda under the orders of James Brooke, then the Rajah of Sarawak. Its members were chosen from local tribe leaders who were thought to be capable of assisting Brooke in administering the kingdom. The General Council later evolved into the Council Negri in 1903. The Council Negri first met in Bintulu. It continued to function even after Sarawak was ceded to the British Empire in 1946. Since 1963, when Sarawak joined with Malaya, Singapore and North Borneo (now known as Sabah) to form the Federation of Malaysia, in line with the federal and state constitutions, members of the Assembly have been elected representatives. The Assembly originally had 48 seats. That expanded to 56 in 1985, to 62 in 1985 and to 71 in 2005. In 2014 the Assembly passed a Bill to take the number of constituencies to 82. It has a greater number of seats than any other state assembly in Malaysia. 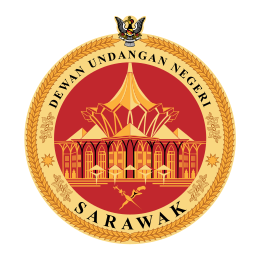 The State Assembly enacts laws that apply in the state of Sarawak in matters specified in the Joint and State Lists in the federal Constitution. Legislation successfully passed in the Assembly are known as ordinances. The Assembly must sit at least once a year to approve taxation to and supply from the state's consolidated fund. This is done during the tabling of the budget by the executive Cabinet. Aside from administrative matters, members of the Assembly are free to speak on any issues, as stipulated in the Privileges, Immunities and Powers Ordinance 1963. Members of the Assembly are responsible for checking and criticising the executive government's actions. The Speaker presides over proceedings in the Assembly. He is appointed by the Yang di-Pertua Negeri (Governor) on the advice of the Chief Minister. The Speaker can only vote to break a tie. The 11th Sarawak State Election that helds on May 7, 2016 witnessed 72 governmental seats and 10 non-governmental seats filled the Sarawak State Legislative Assembly. The government side has 49 safe seats and 6 fairly safe seats, while the non-government side has 4 safe seats and 4 fairly safe seats. In addition, 2 seats was win uncontested in governmental seats. ^ Jerip Susil contested the state election as a direct Barisan Nasional candidate, rejoin his previous party UPP on 13 August 2016. ^ Wong Soon Koh contested the state election as a direct Barisan Nasional candidate, rejoin his previous party UPP after the election. ^ "Sarawak state assembly increase number of reps to 82". The Malaysian Insider. 11 November 2004. Archived from the original on 9 June 2015. Retrieved 12 November 2014.